Arthur "Art" Wayne Wollenweber was born on June 13, 1929 in Pueblo, Colorado to Paul and Elizabeth "Bessie" Wollenweber. Art was the youngest of six children. Art is second generation Colorado native. Both of Art's parents were born in Colorado before 1900. The family moved to Denver and Art attended Denver schools and graduated from Denver East High School in 1947. He was a multi-sport athlete at East playing football, basketball, and baseball. He earned three "D" (Denver) letters in football, three in baseball, and one in basketball. Art started playing baseball when he was eight years old. After high school, Art attended Colorado State College, which is now known as the University of Northern Colorado. Freshmen were not allowed to play college varsity ball in those days. Art played basketball one year and lettered three times in both football and baseball. During his sophomore year of college his team played for the college national championship in a three game series. His team lost the third game 8 to 7. After his senior year in college, Art was signed by the Saint Louis Cardinals and played on their farm team in Fresno, California. During his first year the Fresno team won the pennant of the California League. After the end of the first season, Art returned to college on a fellowship to work on his Master's degree. This time he had the opportunity to coach the baseball team during the absence of Coach Pete Butler. The team won the league and district championships and went to the national tournament in Omaha. Coach Butler returned and Art went back to Fresno and later to Omaha for the Cardinals. In the fall he met his future wife Louann. Art and Louann were married on September 27, 1952. Art then completed his Master's degree. With Art out of school, the Army finally caught up with him. He was drafted for two years just before the end of the Korean War, he obtained the rank of Corporal. While in the Army his baseball contract had been bought by the Chicago White Sox and in 1955 Art played for the Colorado Springs Sky Sox, in the Western League. They won their league pennant that year. Art's pro career ended with a shoulder injury. Webmaster Notes: The draft had been resumed for World War II. After the WWII ended, the draft still continued. Students could defer from the draft, but once out of school, students were eligible to be drafted. The military services did not become voluntary and the draft did not stop until after the Viet Nam war in in the early seventies. On May 7, 1956 Art signed a contract to teach and coach at Sheridan Union High School. His contract specified that Art would be teaching Social Studies and would be a coach. Art also taught American Government at Sheridan before teaching Physical Education. Most students will remember Art as the PE teacher. Art would be the head coach for baseball for twenty years and would win over 300 games. During the early years at one time or another, Art was an assistant football coach, assistant basketball coach (4 years), assistant wrestling coach (14 years), and assistant track coach. It was after the early years that he focused on wrestling and baseball. Art also started a summer baseball program in 1956. More information about that program is available on the Sheridan Celebrates Grand Marshal in 2006 web page. While coaching at Sheridan, Art received the following awards. Coach of the Year - 6 times, District Coach of the Year, National Coach of the Year (1979), Athletic Director of the Year in District 7. He was also inducted in the Metropolitan League Hall of Fame and the Colorado Coaches Hall of Fame. In 2015 he was inducted into the Colorado High School Activities Association (CHSAA) Hall of Fame. Art was a stern and tough coach but he really cared about "his kids." As he neared his retirement, Principal Ken Reiter said "Those who do what Art Wollenweber has done are very special people; they are missionaries, they are the foundation upon which great athletic programs are built and from which our great athletes come." Webmaster Note: Art was on staff at Sheridan from 1956 through 1989. 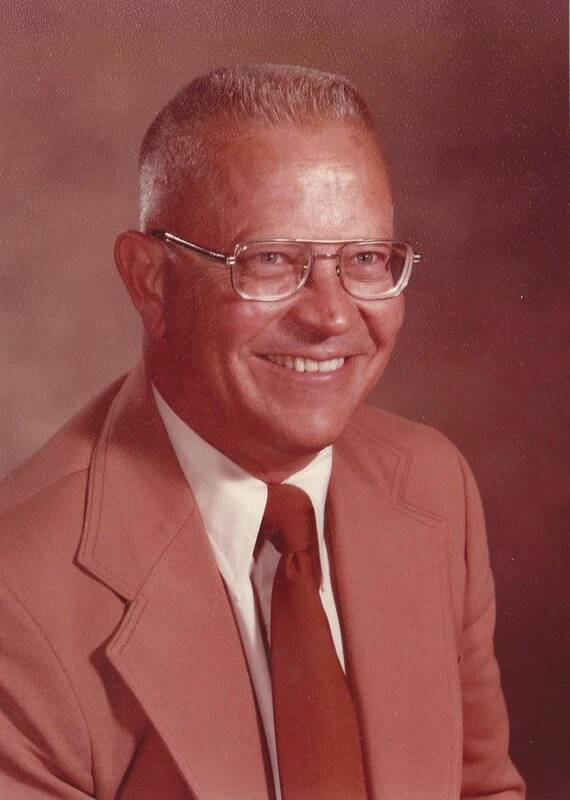 Art was one of only eight teachers and staff, with over thirty years of service to Sheridan High School. That is a amazing feat with over 700 teachers and staff members at Sheridan over the last sixty-five years. Art created the Sheridan High School Athletic Wall of Fame. This wall recognizes athletes that were designated as First Team All State or were a State Champion, or recognized two or more times as a First Team All Conference or a District Champion and a multiple letter award winner. There is a listing of those athletes at the Athletic Wall of Fame web page. Webmaster Note: In 2018 the Athletic and Academic Walls of Fame were taken down from the high school. The high school is working on a different presentation format for the recognition of athletes and the pictures of the athletes and their pictures. The pictures are currently in the safe keeping of the principal until the new format is completed. The new format presentation may be delayed pending action on the construction of a new high school. Here are some comments from some of his former students and players at Sheridan. Mr. Wollenweber made a huge difference in my teen life...will always be thankful he was there. Mr. Wollenweber was so kind and welcoming to me as an incoming freshman as I knew absolutely no one at SHS. Mr. Wollenweber was a stand up man. Even when he scolded me and made me park across the street when I "lit up the tires on my truck in the parking lot." He was a kind and very approachable yet a no nonsense kind of guy. He was such a gentle giant. He taught me how to drive. He taught me how to appreciate sports. I can remember his summer baseball program when I first moved to Colorado. I'll never forget the honor of playing baseball for him in his last season and being part of his 300th win in his hall of fame career. I will never forget when someone stole our bats during baseball season. Somehow I convinced Art that I will never be good unless I have the same kind of bat. Next day there was a new one. He was a very intimidating, in a good way, and taught us all to respect and stand up for ourselves. I remember when my brand new cleats were stolen and things were tight at the time. After a week went by, he called me into his office and presented me with a brand new pair from an 'anonymous' person. Included with the shoes was a note with the Bible verse Philippians 4:19. We didn't know it was a 'thing' back then, but he heard through the grapevine I was being bullied. I tried to deny it, but he wasn't accepting anything I said. He taught us to stand up for ourselves. Mr. Wollenweber was a great human being and always fair. He will be missed! He was a good man with a great heart. He showed kindness to all sudents and was strict when he knew it was needed. He definitely made an impact in my life. I was blessed with the opportunity of knowing him outside of school. He was truly like a father. 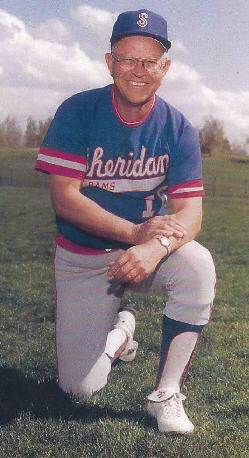 After retiring from Sheridan, Art continued to work with the athletic directors and coaches of the Metropolitan League for 13 years after leaving Sheridan. This included the scheduling of all games, athletic events, wrestling tournaments, League relays, and the like for the Metro League. Art was selected to be a Sheridan Celebrates Grand Marshal in 1995 along with his son Kurt Wollenweber, Avonel Mitchell and Jim Dorsey. The theme that year was Family Ties. Art was again selected to be the lone Sheridan Celebrates Grand Marshal in 2006. The theme in 2006 was "Play Ball." Webmaster Note: Only three people in the 28 year history of Sheridan Celebrates has been Grand Marshal twice. Besides Art, they were: Police Chief Ray Sample and Ron Carter (once as Fire Chief and once as School Board President). Art is survived by his wife Louann Wollenweber, his daughter Karen Wollenweber, son Art Wollenweber (Joli), son Kurt Wollenweber (Leanne), and daugther-in-law Tracy Hoefke. He was preceded in death by his son Marv Wollenweber. He is also survived by five grandchildren and four great-grandchildren. With his service in the US Army during the Korean era, Art was interred at Fort Logan National Cemetery in Denver, Colorado. Kurt Wollenweber, Eulogy, Celebration of Life, Grace Covenant Church, Lakewood, Colorado, March 6, 2018. H. G. Spute, Teachers Contract, Sheridan Union School District #2, Sheridan, Colorado, May 7, 1956. Arthur Wollenweber, "Words from Art", Denver, Colorado, About 2011. Unknown author, "Sheridan coach national finalist", Newsletter, National High School Athletic Coaches Assn., Inc., Orlando, Florida [city & state not verified], 1979. Ken Reiter, Congratulation Letter, Sheridan High School, Sheridan, Colorado, April 12, 1989. Unknown authors, Annuals, Sheridan High School, 3201 W. Oxford Avenue, Sheridan, Colorado, several years from 1957 - 1989. 1930 United States Federal Census, www.myheritage.com, March 7, 2018. 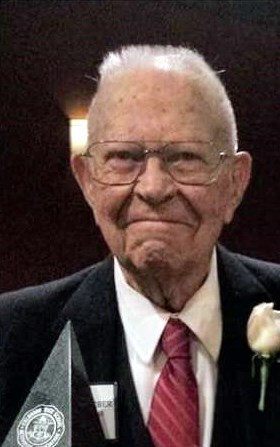 Unknown Writer, Obituary, Dignity Memorial, https://www.dignitymemorial.com/obituaries/denver-co/arthur-wollenweber-7775085, March 7, 2018. National Cemetary Administration, US Department of Veterans Affairs, https://gravelocator.cem.va.gov/index.html?cemetery=N888, March 7, 2018.